I’m starting to get really excited for Christmas! Between the stores filling up with Christmas decor and the Christmas themed ads I see all over social media, I’m getting excited to decorate my home for Christmas this year. This year I am absolutely loving the farmhouse style Christmas decor. It looks fantastic, but it’s not too over the top which I love. I love how simple and effortless the farmhouse Christmas theme looks in any home. 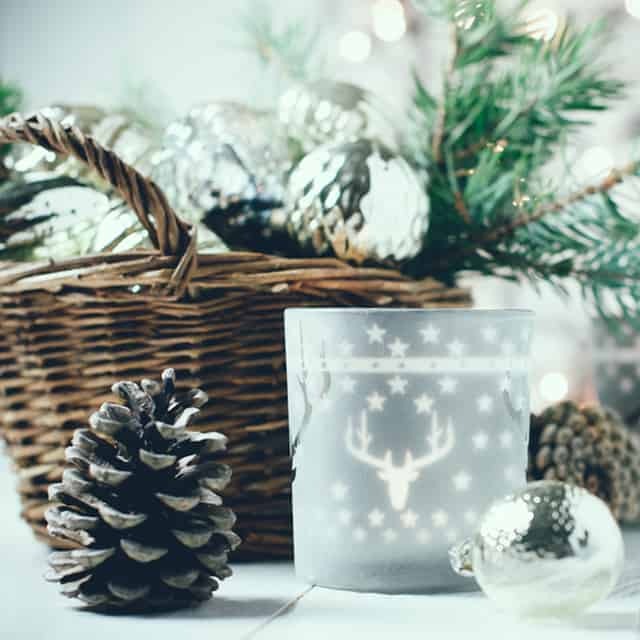 Since my Pinterest feed has been full of Christmas decor for the past week, I’ve decided to put together some of my favorite farmhouse Christmas decor ideas that I’ve come across! So let’s get going! Here are my favorite farmhouse Christmas decor ideas! I’m a huge fan of the rustic red farm truck look (it’ll make more appearance throughout this article, promise) It adds such a old-fashioned, vintage feel to any home! This pillow is so cute and would bring a vintage Christmas feel to your living room! This rustic wooden sign brings back the charm of an old fashioned tree farm. This sign would add the perfect rustic farmhouse touch to any home! This checkered pillow reminds me of a warm soft blanket and makes me want to snuggle up on my couch to drink hot chocolate and watch a Christmas movie! It’s the perfect subtle Christmas touch for any home! This door piece would be absolutely stunning for any entryway. It’s the perfect way to welcome your holiday guests into your home! I love the subtle Christmas look of this mailbox. This countryside Christmas mailbox would be perfect for kids to mail their letter to Santa in! Wouldn’t this sign look stunning in a kitchen? This framed peppermint cocoa wall sign would add the perfect farmhouse Christmas touch to any kitchen! This table runner is perfect for the effortless Christmas decor look. This simple table runner would look fantastic on a wood table, topped with your favorite holiday centerpiece! These rustic Christmas stockings are perfect for any mantelpiece. The simple patterns and burlap would add a subtle Christmas touch to any living room. This simple metal sign would look stunning hung on any wall in the home. The simplistic look combined with the rustic accents are sure to add to any farmhouse Christmas decor. And last, but definitely not least we have another retro truck! This retro truck stocking holder would look stunning with the rustic stockings from earlier and I love the vintage Christmas feel this decor item would bring to any home. Which of these farmhouse Christmas decorations was your favorite?